Are You Qualified To Buy A Home? 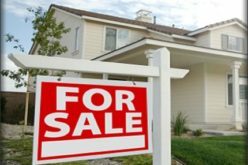 This is one in a series of articles related to the sub-prime mortgage mess that dominated the news in 2007 and will likely continue to be big news throughout 2008. Are you qualified to buy a home? Just a few years ago, it seemed as if that answer would have been “yes” for nearly any adult who could breathe and who had some sort of steady monthly income they could count on. Those days are now over as home lenders have tightened borrowing substantially; in some cases even buyers with good credit are finding it difficult to obtain a mortgage. Beginning around 2003, home lending started to become very lax. People with lower credit scores, who shouldn’t have been approved for a mortgage, were able to buy a home. The mortgage companies weren’t all that concerned as they planned to bundle and sell their loans to third parties. Not being given the right amount of attention are certain exotic loans to wealthier buyers which are also imploding or will soon collapse in the months ahead. Pay Option ARMs, second mortgages, and hybrid intermediate-term ARMs, are not household terms, but they are mortgages issued over the past few years to qualified buyers. Each of these three mortgage options were considered prime loans, therefore escaping the light currently shining on sub-prime mortgages. Greenberg contends that sub-prime mortgages are only about 25% of the mortgage mess coming down, meaning additional government intervention will be necessary. Even the revered credit score was not a good indicator of a buyer’s ability to repay a loan. Many homeowners saw their scores improved as they refinanced to a new loan, thereby improving their credit scores. Any time that a homeowner was short cash, he could pull money out of the equity in his home to pay off other debts. You would refinance your first mortgage or increase the debt on your second mortgage, and your score would automatically increase. An excellent credit score, 750 or above. At least ten percent down, twenty percent to avoid PMI and to meet some lender’s stringent qualifications. A steady income for the past two years with only a small amount of debt. 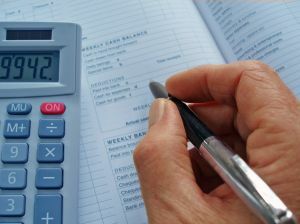 Lenders will be conservative when looking at your debt to income ratio. Before setting out to do house shopping this year, meet with a mortgage lender and get pre-qualified for a loan. In most cases you won’t be under obligation to borrow from the lender but you’ll find out if you can swing a loan. Besides, in this unsteady economy, home sellers want to know if you have the means to buy their home. You can prove it to them with a pre-qualification letter from a mortgage broker. The Second Home Market Is Hot!